Imagine holding a smartphone up to your infant when she's making a sound, and the app displaying a message: "I'm hungry." That's not as far-off as you might think. 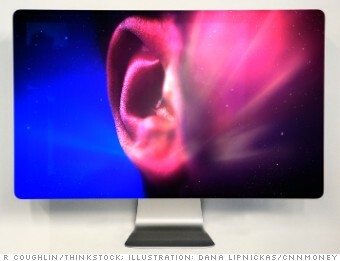 In five years, computers will be able to detect elements of sounds that humans can hear but aren't able to understand. As every parent knows, the difference between normal babbling and a message that something is wrong can be extremely subtle. Computers of the near-future will not only be able to detect whether a baby is upset, they'll be able to determine if the child is hungry, tired, hot or in pain. By interpreting different sound pressures, vibrations and waves, computers will be able to predict when trees are about to fall, when landslides are imminent, or when cars are about to collide before humans can. Computers are already starting to do this: In Galway Bay, Ireland, IBM researchers are capturing underwater noise levels to understand the impact that different sounds have on sea life.